February 2015 - jxeeno™ blog. (analysis) NBN Co has confirmed that they will force phone-only customers within their Fibre to the Node and HFC footprints off the existing PSTN service delivered over the current copper network from Telstra exchanges. Like the current migration of customers in the Fibre to the Premises footprint, all customers in the FTTN and HFC footprint will also need to migrate to the NBN network within 18 months after an area is NBN Ready for Service. However, unlike the FTTP technology where NBN Co will install a Network Termination Device (NTD) at end users’ homes, customers or retail services providers are expected to provide the termination modem to connect to the NBN network. This leaves phone-only customers in an uncertain situation because phone signals are not natively transmitted over the FTTN or HFC networks. NBN Co currently charges a minimum of $24.00 per month for its Access Virtual Circuit (similar to line rental, it allows service providers to access the data and voice ports on a customers’ premises). In addition to that, there are overhead costs for service providers to operate, connect and rent phone numbers. However, in the FTTN or HFC footprint, customers will have to likely purchase (or have subsidised by service providers) a VDSL or cable modem with Voice Over IP (VOIP) functionality to make calls. With VDSL modems with in-built VOIP costing around $200 today, phone-only users in the FTTN footprint will likely have higher up-front costs or ongoing repayment costs compared with their FTTP footprint counterparts who can simply plug their existing phones into the NBN Co provided NTD. This would be a similar situation in the HFC footprint. This means that consumers who don’t wish to access the Internet, yet retain a fixed-line phone connection, could potentially face up to $200 more up-front — or $8.30 per month on a 24 month contract. It also creates further uncertainty for priority assist customers, or customers with medical or security alarms. The typical modems made available to consumers will unlikely have an uninterrupted power supply (UPS, also known as backup battery) in the event of a power outage. 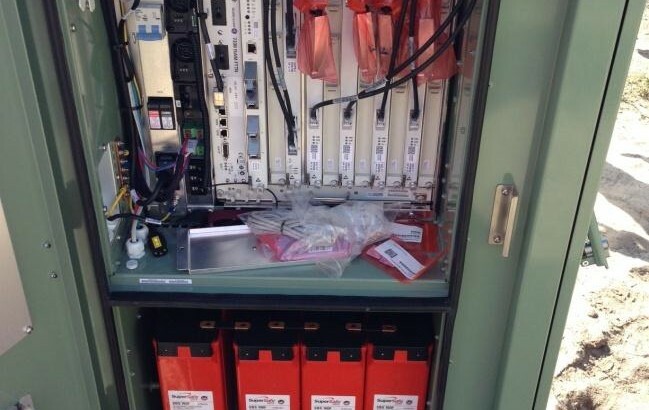 While the street-side nodes used by NBN Co in the FTTN network will have backup batteries, the customer’s modem will be unable to connect in the event of a power outage without a backup battery as well. Elderly customers or customers with security or medical alarms may need to purchase an additional UPS to ensure their connection remains during a power outage, bearing further costs onto customers who only want a phone service. With these additional cost barriers likely to hit consumers in the FTTB/N and HFC footprints, phone-only consumers may be encouraged to abandon the fixed-like service and take up a mobile phone only service instead. With the increasing bandwidth made available using LTE and 3G technologies, transmitting voice and making phone calls over the cellular network has become cheaper than ever. This may be even more problematic for NBN Co’s business case which used to assume that roughly 7% of the population will have mobile-only services. With the existing 7% of customers representing at least $18 million per year in lost potential revenue, NBN Co may need to find alternative avenues to make additional revenue. NBN Co has commenced testing the 3.5GHz spectrum slated for use in NBN Co’s fixed wireless network in outer metro areas. 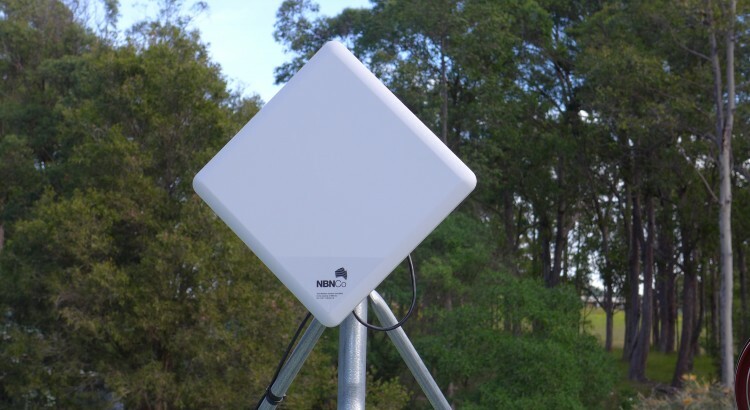 NBN Co’s current Fixed Wireless network uses the 2.3GHz spectrum in regional areas after acquiring the spectrum from former satellite TV provider Austar. However, it lacked the 2.3GHz spectrum license in metro areas. In August 2014, Minister for Communications Malcolm Turnbull directed the ACMA to issue licenses for NBN Co in the 3.5GHz spectrum to cover a spectrum shortage NBN Co faced in outer metro areas. The test licenses will expire in June 2015. It is expected that around 80,000 premises will be serviceable by NBN Co’s 3.5GHz fixed wireless network once it’s completed.